It is the most popular messenger service in the world. Everyone loves it. Everyone wants to be a part of it. It has become a global sensation. Yes, WhatsApp has become the most popular media sharing platform in the world. You can share whatever you wanted to share, whenever you want to share them. With a friendly user-friendly interface, it is very easy to use. With a single tap in, we can take phone calls and video calls with anyone in the world. We can share any media we want. We can share images, documents, videos, links, etc. We can create group conversations. We can hang out with our friends, family, and colleagues in different groups. Group conversations are an excellent way to keep in touch with each other. There are several WhatsApp APK mods that you can download and have more customize features. In this article, we are going to discuss WhatsApp web feature. WhatsApp is a web client application. Now we can use our PC’s web browser to send messages directly to other clients. This is a pc version of the mobile WhatsApp application. Even though we can sync our chat, still we can’t make any callings. All the other activities you do in the web application will sync with the mobile device. If you are a fast typist, you can enjoy this app to the maximum. It is easy to type from your PC or Laptop other than the mobile device. But still, your mobile device has to be connected to the internet. Without connecting your mobile device to the internet, you can’t use this application. This only works on with Android, BlackBerry, Nokia, Windows phones and Apple devices. Also, the recommended browser is Google Chrome web browser. Also, you have to make sure the latest WhatsApp version is installed on your mobile device. There are some security flows you have to be aware of. A researcher has found that a bug in the application allows hackers to view the user’s profile. Also when an image has been deleted, still they won’t get blurred. And sometimes it is not correctly synchronized with the mobile device. There is no need to download any app or installation from anywhere. You have to visit www.whtsapp.com to use it. After visiting it, Please read the “How to set up WhatsApp web on your Pc, Laptop and Tablet” section for further details. If you need to download WhatsApp plus apk, please follow the link and if you want to know about GB WhatsApp apk, then it is here. You are now going to set up the application on your device. Step One: First you have to start your chrome browser. Only chrome browser supports this app. After opening the browser, on the URL tab type www.web.whatsapp.com. As long as you are using a Chrome browser, you can try in any platform. After you visit the site, a QR will appear on your screen on your device. There is no need to worry about a QR reader. Step Two: Open the WhatsApp on your mobile device. Go to the setting menu. Then select WhatsApp Web. Step Three: The QR reader on the application will open now. You have to point it at your PC device. Point it at to the screen to read the code. 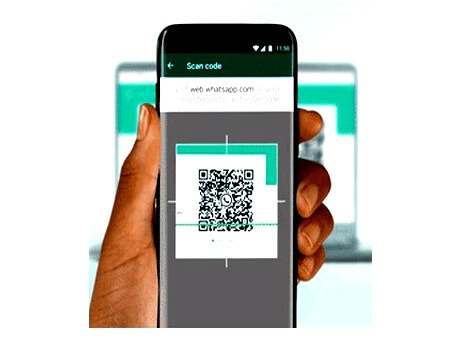 Next, you will be automatically log in to the WhatsApp web. Step Four: Both interfaces are familiar to each other. The mobile device and the PC version both have the same interface. You also have to disable desktop notifications. If you are using a shared PC, it could be a problem with your privacy. Go to the settings and disable desktop notifications. To start a conversation, you have to search the recipient from the search option. Unlike in the mobile device where you can click on the new messages, in here you have to search the recipient to start a new conversation. Also, it helps to filter messages easily. When you are having a conversation, the interface will automatically match your mobile device’s interface. The emotions, mic icons settings can be seen either side of the bottom of the text entry area. To attach files, you can see a paper click icon at the top. Also, there are a few more options to view contact information. Same as the mobile device, you can view single, twin and blue ticks. From them, you can see if a message has been sent, delivered and read by the recipient. If you are tired of using default WhatsApp mods, then you can try new WhatsApp apk mods. There are several of them. WhatsApp Plus, GB WhatsApp and OG WhatsApp. These latest WhatsApp apk provide so many cool features. You can’t have those cool features with default versions. If you want to try these new features, please read our site’s article about them. And remember, there is no need of root back your mobile device again. You can use these new apk without doing the root process. You can get all the information and download the latest WhatsApp Plus, GB WhatsApp and OG WhatsApp from our download section. If you want to manage all the devices that you have logged on, you can do it via the options menu. From the options menu, you can log out from all the PC devices. Also, you can lout from the PC device that currently being used. If you never log out, the application would keep your sessions alive. But the problem is, whenever you log out from the PC devices, to log in back each time you have to scan the QR code. Sometimes it could be troublesome. 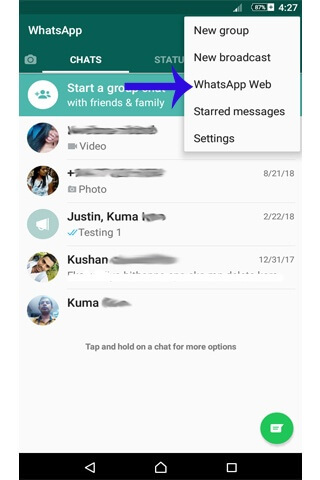 How to download OG whatsapp apk? read the linked page to get more facts. There are nice features you can use with this app. You can try them by yourself. Keyboard shortcuts. If you want to get full benefits of this, you have to know the keyboard shortcuts. Ctrl + N To start a new chat. Ctrl + Backspace: To delete the full conversation. Ctrl + P To open the profile status. Ctrl + Shift +N To create a new group. Everyone loves emoji. But it is difficult to find favorite emoji while typing. With the help of keyboard shortcuts, now you can find emoji faster than ever. In the regular text box, you can type (Shift + Key) and followed by the first two letters of the emoji you want to use. Also, there are classic shortcuts for emoji. You can type those shortcuts whenever you need to. If you’re going to use several accounts, there are a few methods you can try. You can open different tabs and sign on separately in the same browser. You can do it by opening a new tab in the same windows you can open an incognito window in another browser and use separate accounts. You can get rid of that “Blue Double Stick.” Sometimes it is hard with that. You can simply stop blue double stick been appeared. WhatsApp is the world’s most famous messaging application. Now you can quickly send any message to anyone in the world. All the options available in this application are easy to use and navigate. There are no advertisements. It is a major policy of the developers of this excellent application. You don’t have to worry about contact. The application automatically imports your phone contact to the application. Now you can share your location with your contact. So it is easy to navigate to an unknown location to meet someone. The app is free to use. Now it has become even easier to communicate via WhatsApp web. If you are an office worker or if you spend most of your time working on a PC or Laptop, now you can use WhatsApp Web to message with anyone easily. No need of checking your mobile phone every time. You can enable desktop notification to get instant updates. You can just keep away your mobile device far from your work station and start messaging with this.